Nandalala Mission started a hiking club for kids and adults in January 2017. This club hopes to bring people together on some weekends to enjoy and appreciate various natural sights and sounds around this naturally rich area while in good company. 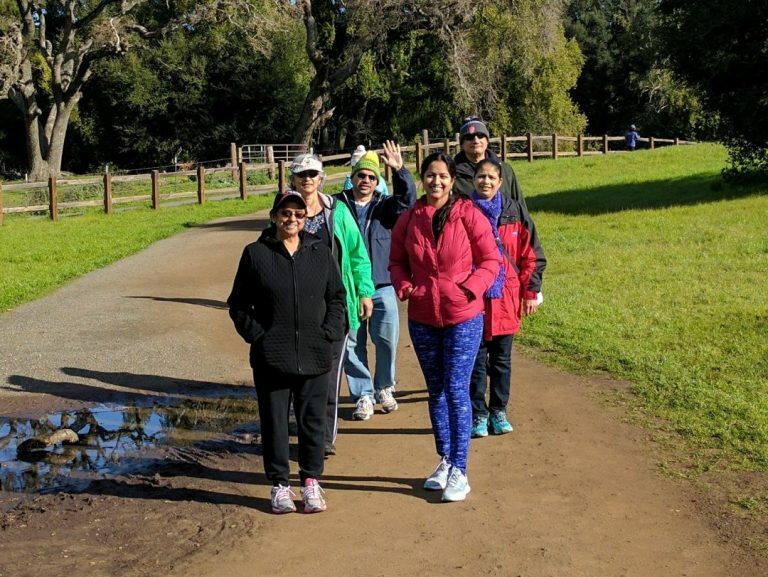 Hikes will be selected from different regions of the Bay Area about once every 4-6 weeks. The hike is conducted by Nandalala volunteers. Hikes will be ≤5 miles in total length but will vary in distance. Hikes will be chosen so as to not be steep, rocky, or dangerous. Hikes will be on Saturday or Sunday mornings. Weather will be taken into consideration and alternate dates will be provided in such instances. The chosen hike and link to its description will be sent in advance to enable hikers to make an informed choice. Parents are responsible for transportation to and from hiking location and entry fee (if any). Hikers are expected to wear appropriate footwear, hats, and sunscreen and to bring drinking water. We request that any kids under 8 years of age be accompanied by a parent. We plan to maintain 4:1 kids to adult ratio for safety reasons.